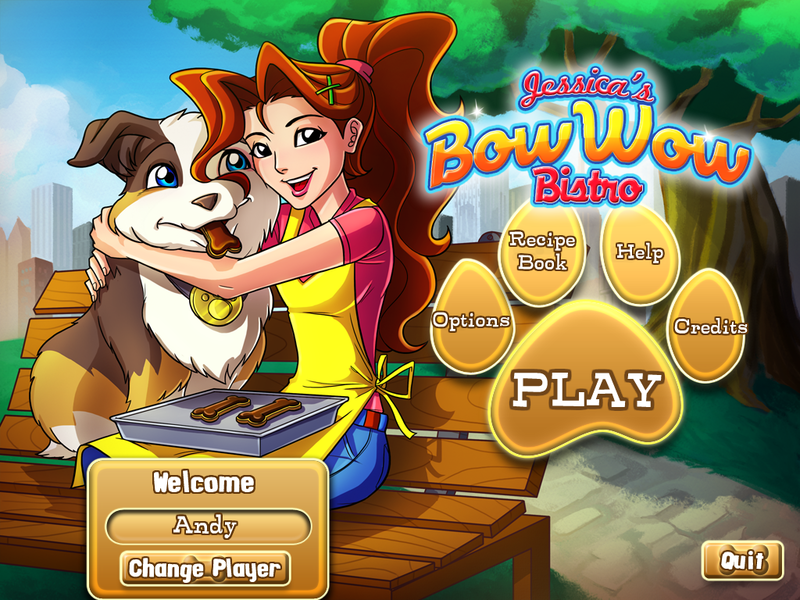 Serve up tasty treats for you and your pooch in Jessica's Bow Wow Bistro, a doggie adventure that's off the leash! Taking inspiration from a client's little Chihuahua, Jessica is looking to expand her cupcake empire by dishing up premium pet treats. No longer will the community canines be subjected to inferior ingredients like fillers and dyes. After all, a healthy pooch is a happy pooch and they are part of the family. Get Jessica's newest bistro booming by baking yummy delights for pets and their owners. Dazzle guests in 50 fun-loving levels with decadent décor and a kitschy kitchen where culinary creations appease the palates of people and pets. Master your time management skills and fetch lots of cash to earn upgrades and expand your shops. Create a menu of healthy, tasty treats to achieve big rewards. 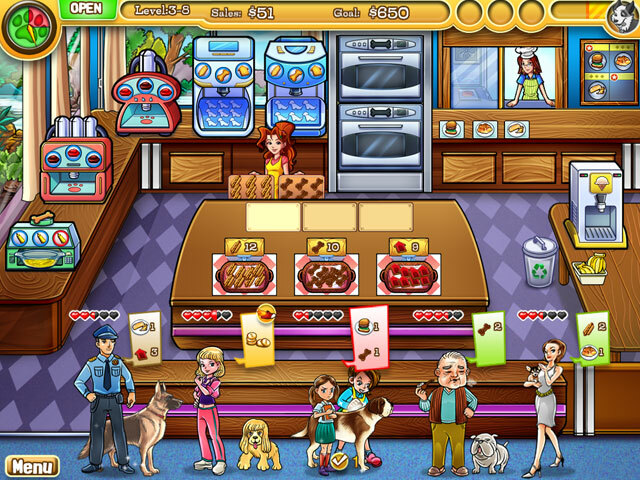 Dish up gourmet doggie delicacies in this endearing Time Management challenge. Bake delicious treats and decorate them in 50 wonderful levels. Call on assistants and throw bake sales for boosts in money and points. Purchase a variety of upgrades and electrifying power-ups. Create delightful dog treats with over 60 real recipes earned.